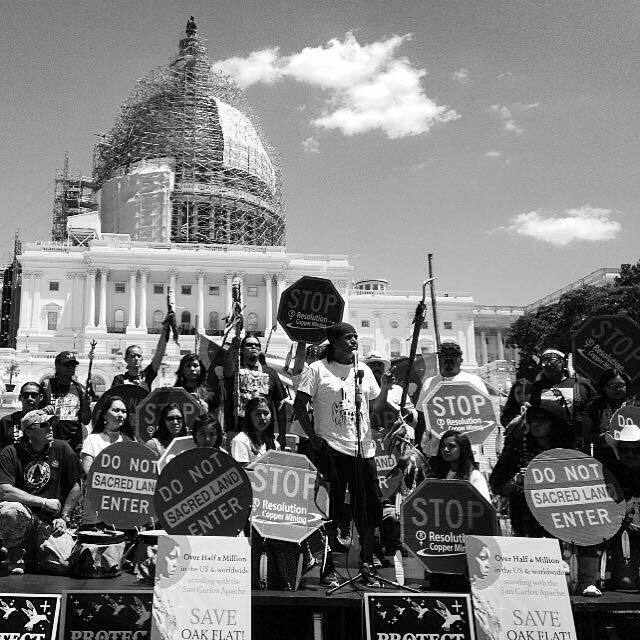 Follow the SAVE OAK FLAT bills in the 116th (2019-2020) Congress To repeal section 3003 of the Carl Levin and Howard P. "Buck" McKeon National Defense Authorization Act for Fiscal Year 2015. 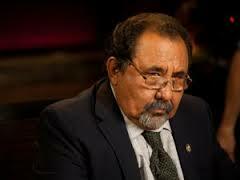 HISTORY OF THE "SAVE OAK FLAT ACT"
On Wednesday, June 17, 2015, Rep. Raul Grijalva with 14 bipartisan co-sponsors introduced the “Save Oak Flat Act”. The bill would repeal Section 3003 of the FY15 National Defense Authorization Act (NDAA), which approved the Southeast Arizona Land Exchange. 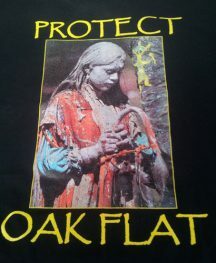 One of the lawmakers involved in the fight to save Oak Flat, Rep. Raúl Grijalva (D-AZ), introduced the first “Save Oak Flat Act” in June 2015 to protect the sacred grounds from mining. Oak Flat is an area about an hour east of Phoenix that is a sacred site known to Apaches as Chi'Chil'Bildagoteel. Home to a diverse desert ecosystem, it’s also currently federal land within the Tonto National Forest. In December 2014, Arizona Sens. McCain and Flake attached a land-exchange rider to the National Defense Authorization Act. The bill included the Oak Flat land exchange and gave multinational mining company Resolution Copper the area to build one of the world’s largest copper mines. The mine is slated to permanently decimate Oak Flat and surrounding desert features. Apache and mining-reform activists had been successfully fighting the proposal for nearly a decade before this “backroom deal” was made in Congress. Currently the Forest Service is undertaking an environmental impact statement, a legally mandated assessment that must be completed before the land exchange is finalized. A spiritual journey of healing to confront the deception of the birth of America.